The November ‘Over The Edge: Open Reading’ takes place in Galway City Library on Thursday November 22, from 6.30 to 8pm. The featured readers are Annemarie Ní Churreáin, Maurice Devitt, and Amy Barrett. There will be an open-mic after the featured readers have finished; new readers are always especially welcome. Amy Barrett is a creative writing student at NUI Galway. She is in her third-year of studies and writes mostly poetry and novels. She is the winner of the Windows National Poetry prize in 2015. She is now the auditor of NUI Galway Writers society. She lives in a small village in County Cavan called Kilnaleck. Maurice Devitt completed the MA in poetry studies at Mater Dei, won the Trocaire/Poetry Ireland Competition and was placed or shortlisted in many other competitions including The Patrick Kavanagh Award, The Listowel Collection Competition, and Over The Edge New Writer of The Year. Selected for Poetry Ireland Introductions in 2016, he was a featured poet at the Poets in Transylvania Festival in 2015, and a guest speaker at the John Berryman Centenary Conference in both Dublin and Minneapolis. His poems have been nominated for Pushcart, Forward and Best of the Net prizes. He is curator of the Irish Centre for Poetry Studies site. Maurice’s debut collection of poems, Growing Up In Colour, was published earlier this year by Doire Press. Annemarie Ní Churreáin is a poet from northwest Donegal. Her debut collection Bloodroot (Doire Press, 2017 ) was shortlisted for the Shine Strong Award for best first collection in Ireland and for the 2018 Julie Suk Award in the USA. She is the author of a suite of poems about Dublin titled Town (The Salvage Press, 2018 ). In 2016 Ní Churreáin was the recipient of a Next Generation Artist Award by President Michael D Higgins on behalf of the Arts Council. 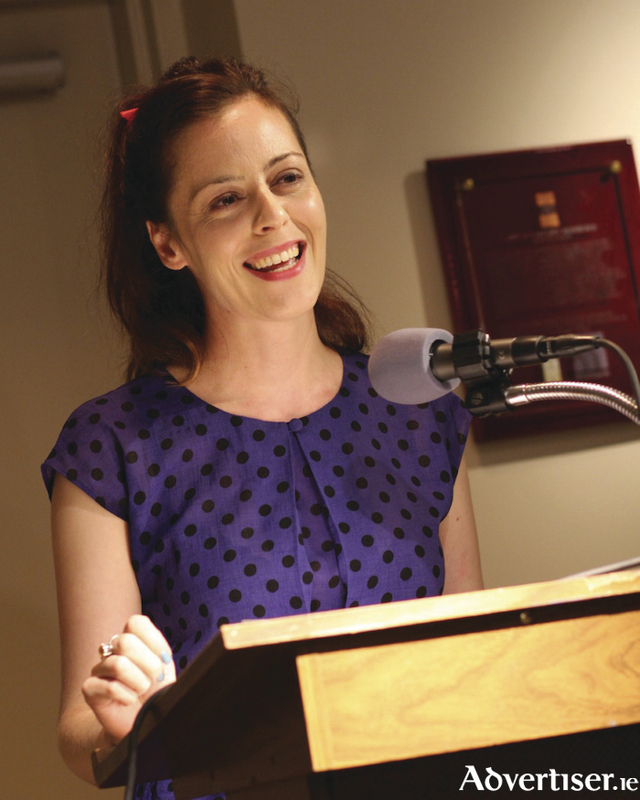 She was the 2017-18 Kerry Writer In Residence and is the recipient of the inaugural 2018-19 John Broderick Residency Award from the Westmeath Arts Office. Ní Churreáin has been awarded literary fellowships from Akademie Schloss Solitude, Jack Kerouac House Orlando, and Hawthornden Castle Scotland. Her poetry is taught as part of the writing programme at Florida Gulf Coast University. Ní Churreáin lives in Dublin. She is a member of the Arts Council Writers in Prisons Scheme. In 2018-19 she is composing a libretto for an upcoming opera production. Her second poetry collection is forthcoming. The MC for the evening will be Susan Millar DuMars.